Hand forged sterling silver hoops with an elegant metal flourish. 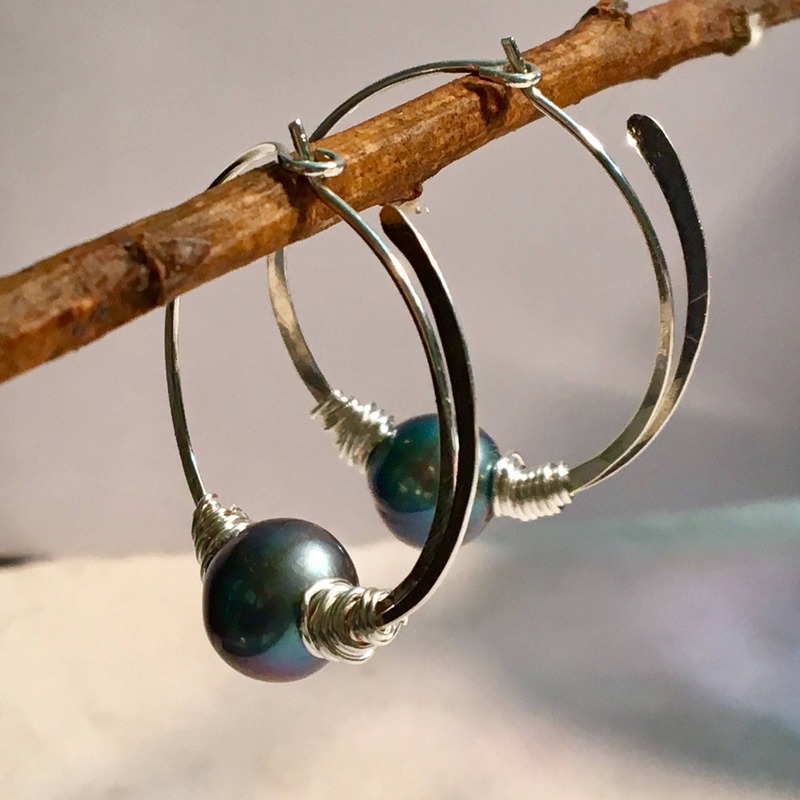 Artisan original earrings capture large freshwater pearls with wire bindings on a handmade self-closing hoop earring. 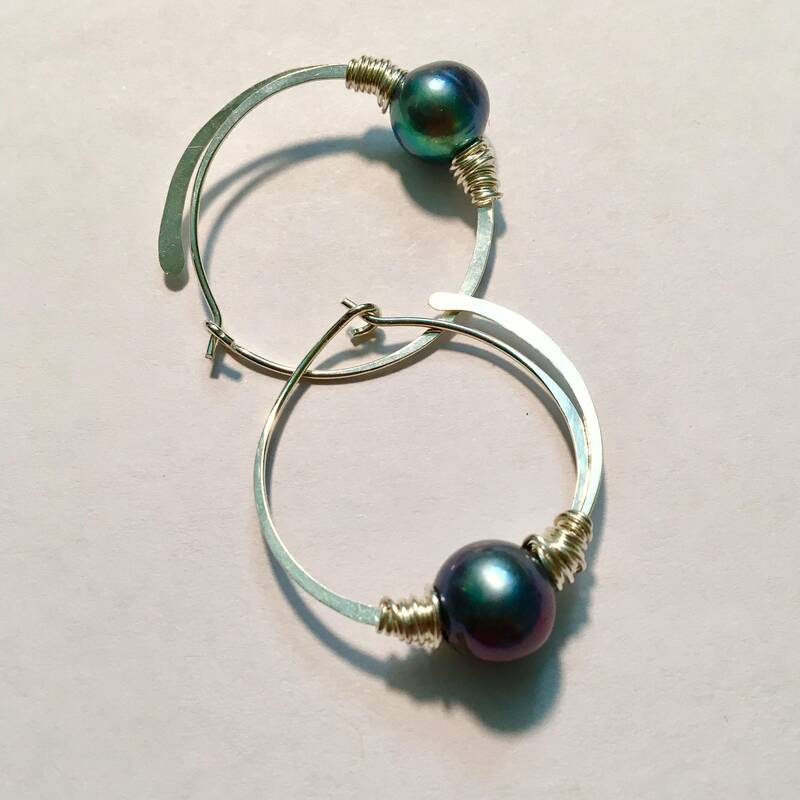 Shown in bright sterling silver hoops and bindings and large dark peacock pearls. Bespoke hoops are made to order in a lovely choice of different mixed metals and including pearls in either dark peacock or white. A perfect June birthstone! 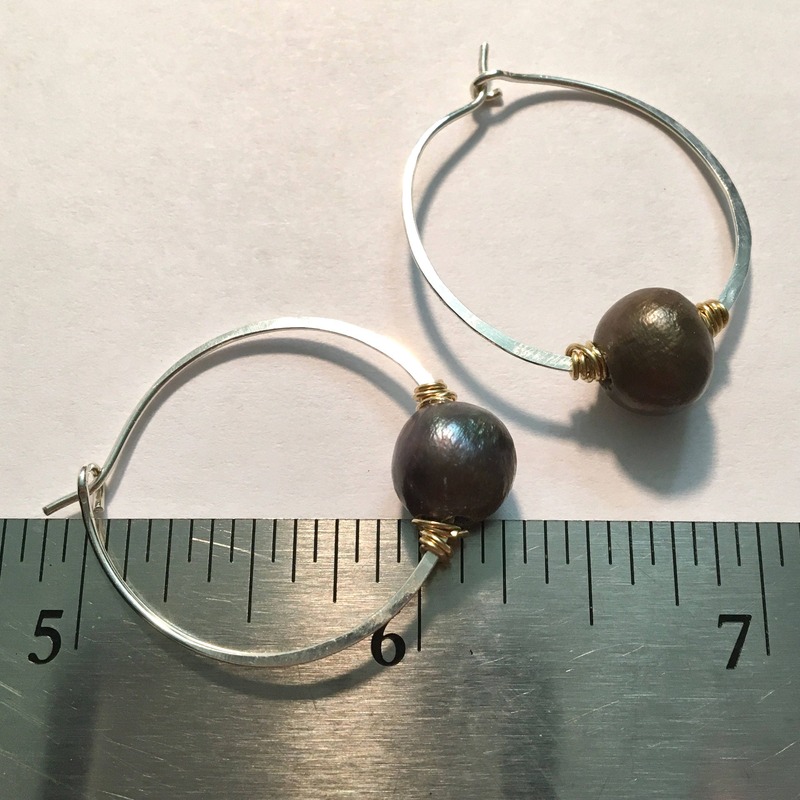 Easy lightweight hoop earrings, just over 1 1/4" long and about 1 1/8" wide. Big pearls are trapped with rustic bindings of precious metals (selections below) and forged hoops each have a modern flourish of curved forged sterling. Beautiful to wear and mailed in my signature packaging, ready to give. Each hoop is handmade to order for you by me in my studio with hand formed & forged silver. 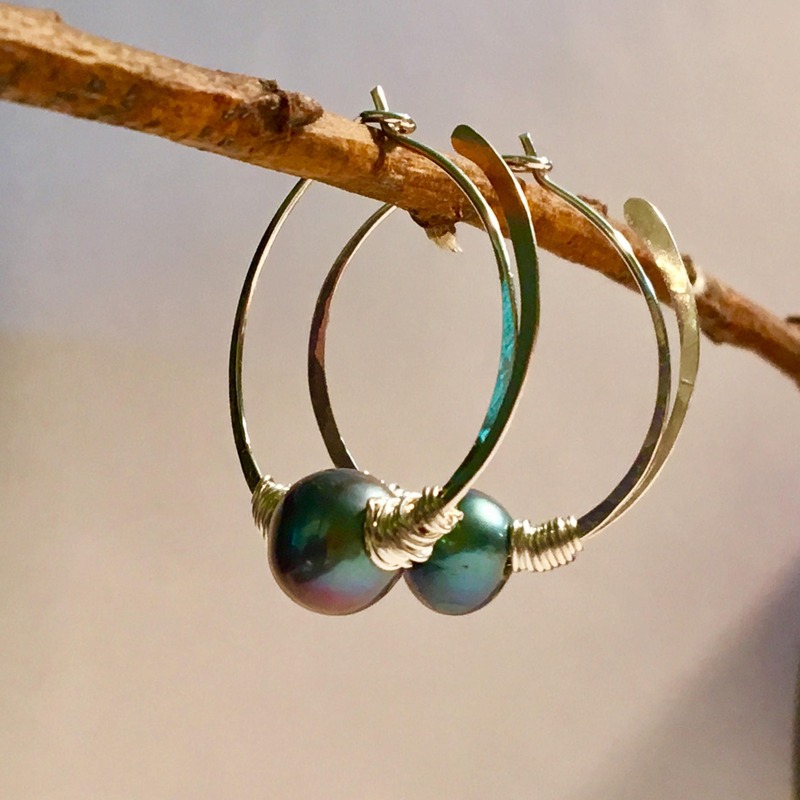 Natural freshwater pearls also have subtle variations, so earrings made for you will be beautifully unique & OOAK. Please select your earring combination as you check out-not every variation listed is included in my photos yet but drop me a note for a sneak preview.